Volvo, the Swedish car manufacturer, have just announced that their global sales for the first 11 months of 2017 are up by 8.3%. This makes 2017 the fourth consecutive record-breaking year for Volvo sales. The XC90 and XC60 SUV’s are both enjoying worldwide sales success, and there’s a new XC40 SUV arriving in Ireland very soon. 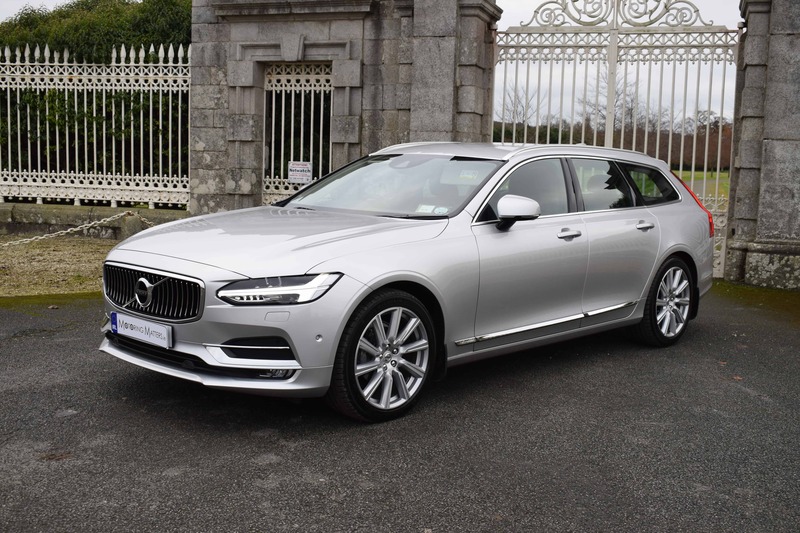 Volvo needed to reinvent its big saloon and estate car lineup by replacing the aged S80 (saloon) and V70 (estate) – hence the introduction of the stunning new S90 (saloon) and V90 (estate). The new V90 replaces the old V70, but there are no similarities at all between the two models. The new V90 gets Volvo’s latest Scalable Platform Architecture chassis (SPA) – which is, in effect, the same set of underpinnings as the XC90. This means the new V90 can share all of the XC90’s safety tech, as well as building upon its cabin quality. Swedish luxury is about the beauty of simplicity, using natural and simple details to express the Scandinavian heritage enjoyed and celebrated at Volvo Cars since its creation in 1927. 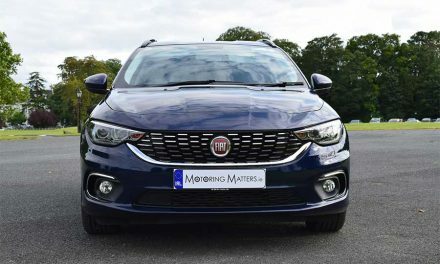 The exterior design defines the cars character, communicating solidity and confidence. 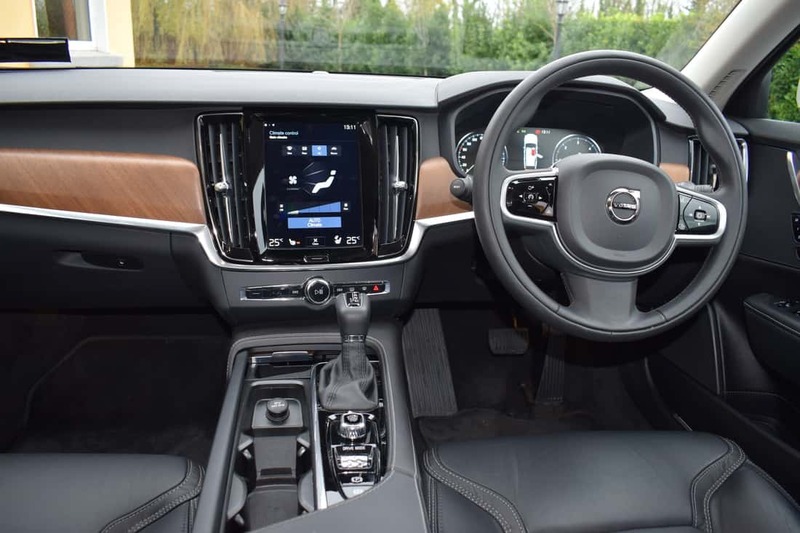 The cabin creates a sanctuary, offering an uncluttered and spacious interior with Volvo’s world famous sculpted seats for maximum comfort and support. When it comes to intuitive technology, Volvo’s new V90 takes pride of place. Thanks to Volvo’s in-car infotainment control system, Sensus, the majority of the functions inside the car are controlled via a 9” touch screen, thereby removing the need for physical buttons, which allows for a cleaner and simpler user interface. There are three specification levels to choose from in the new V90 – Momentum, Inscription and R-Design, with the latter model benefitting from a lowered sports chassis, sports seats, sports pedals, black headlining cloth and many more sporty touches. 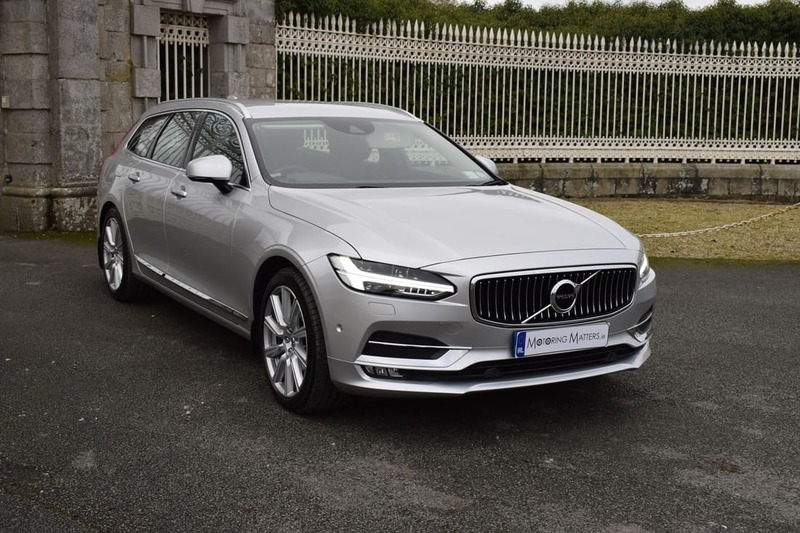 My test car was the new Volvo V90 D4 Inscription Geartronic (Automatic) finished in Bright Silver metallic paint and fitted with optional 19” 10-spoke diamond-cut alloy wheels. The interior of the car looked every bit as impressive as the exterior and the delightful leather scent from the standard Nappa Soft Leather provided a real ‘sense of occasion’ to every journey I made. A really worthwhile option in my test car was a ‘LED Winter Pack with Head-Up Display’. 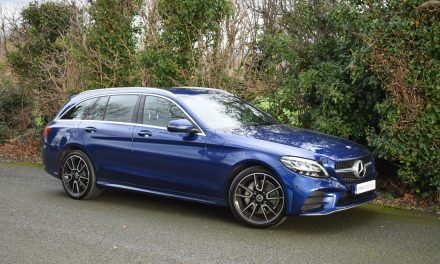 This pack consists of a heated steering wheel, heated front seats, heated washer jet nozzles, heated windscreen, active-bending LED headlights and a head-up display in the windscreen. Smartphone integration was also fitted to this car. All new Volvo V90’s come with diesel-only engines with power outputs ranging from 150bhp (D3) to 190bhp (D4) and on to 235bhp (D5). 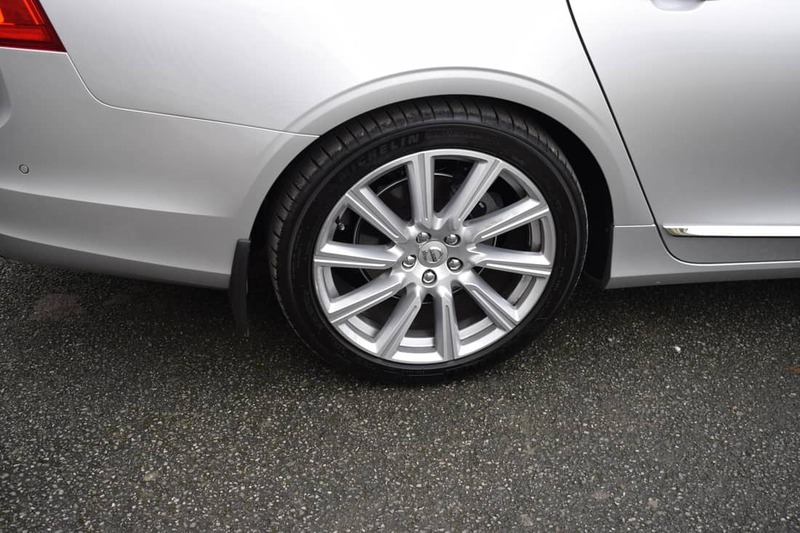 Mated to Volvo’s super-smooth automatic gearbox, the D4 model I drove is capable of sprightly performance, with a 0-100km/h sprint-time of just 8.7 seconds with the automatic gearbox, or just 8.5 seconds in manual guise. Volvo claim fuel consumption as low as 4.5l/100km (manual) or 4.9l/100km (automatic) is possible on a combined driving cycle. Co2 emissions of just 119g/km in the car I drove means annual road tax of just €200 – which is very impressive indeed for such a big car. When you consider that the new Volvo V90 is almost 5-metres long and weighs in excess of 1.8-tonne (unladen) you can really appreciate how impressive these figures are. 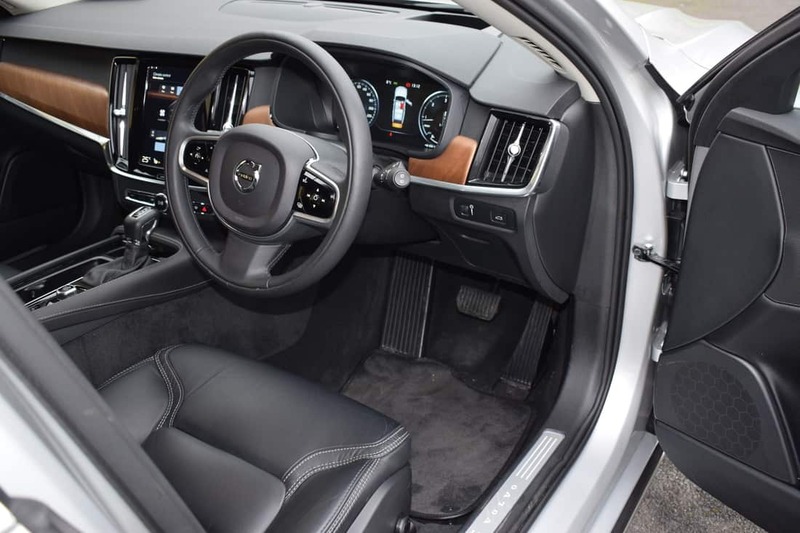 Getting comfortable behind the wheel of the new Volvo V90 is easy, as there are multiple adjustment options for the drivers seat and for the, multi-function and leather-bound, steering wheel. 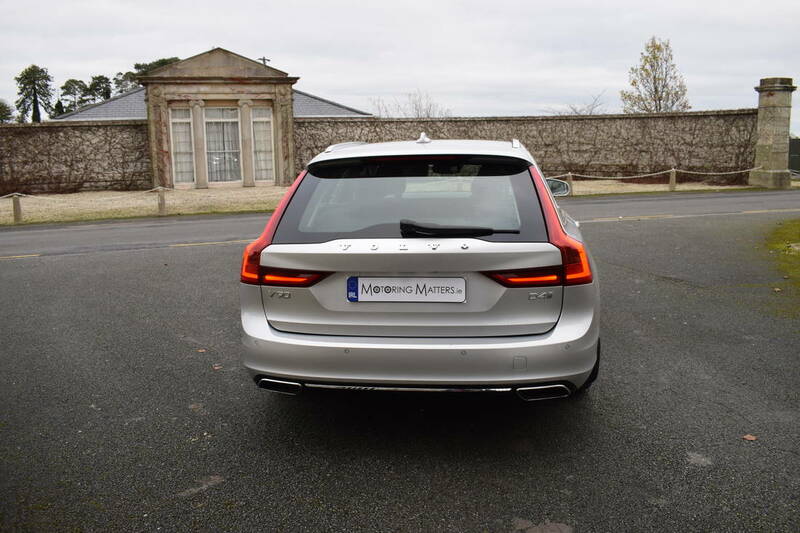 The V90 is extremely versatile too, with a load area volume of 913 cubic-metres with the rear seats in place and 1,526 cubic-metres with the rear seats folded. The length of the cargo area is 1,153mm with the rear seats in position and a massive 1,988mm with the rear seats folded. 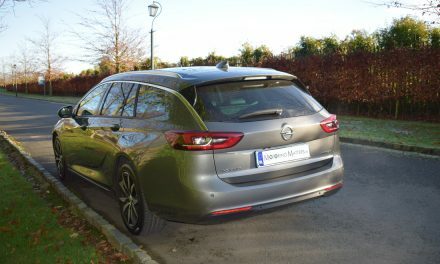 The width of the boot between the wheel-arches is 1,100mm and makes life easy for busy families, leisure thrill-seekers and company sales reps alike. 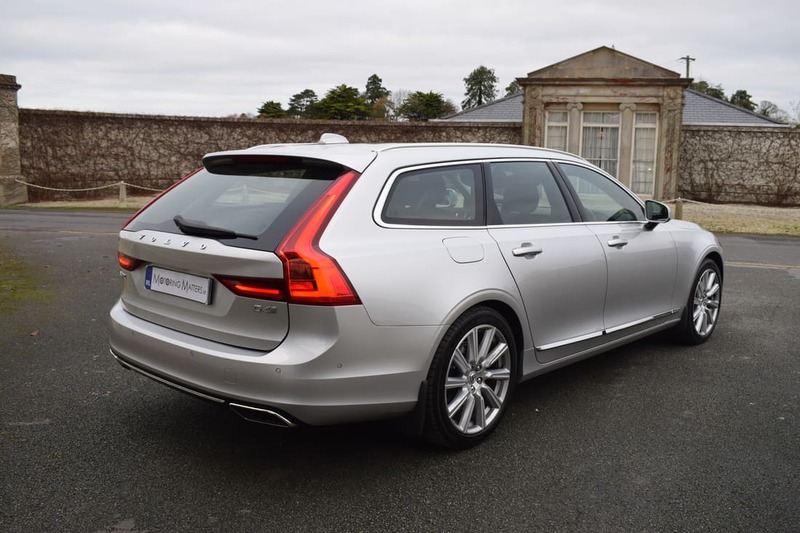 It is so easy to like the new Volvo V90 – from its handsome and striking looks, spacious and modern cabin, latest-technology infotainment and safety systems, to the way the car drives and handles on the road. It is clear to see that, with Volvo’s latest generation of cars and SUV’s, global sales figures are set to continue upwards. Prices for the new Volvo V90 start at €46,650 (ex-works) for the D3 Momentum model with manual transmission. 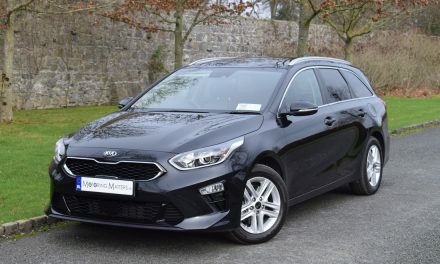 The D4 Inscription Geartronic model I drove starts at €55,650 (ex-works), while my test car with all of the optional extras included is priced at €61,000 (ex-works). I was completely won over by the new Volvo V90.